Photo taken on 19 March, 2015. 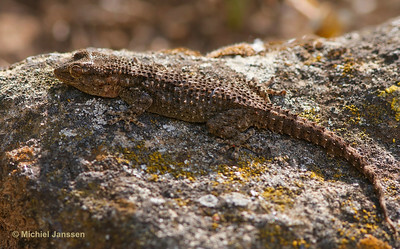 Four subspecies of this lizard have been described. 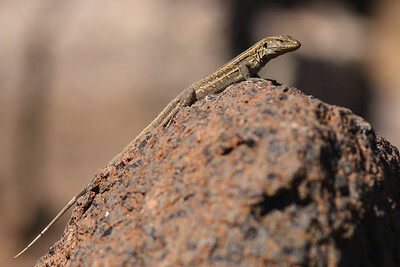 The subspecies eisentrauti is only found in the north of Tenerife. Photo taken near Buenavista (del Norte) on 31 January, 2014. This unfortunate snake had been run over by a car but it was still alive when I found it on the road. 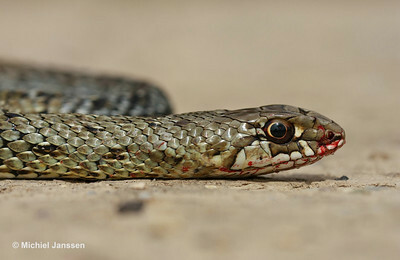 Photo taken in the Sierra de Guara (Huesca, Spain) on 9 June, 2012. This Ladder Snake was taking advantage of the last sun rays of the day at the edge of the road. Tragically, that's why many snakes get killed by traffic. Photo taken in Los Monegros along the A-1216 on 4 June, 2012. Although mostly a nocturnal animal this one was sun bathing in the late morning, something they are known to do on cooler days. 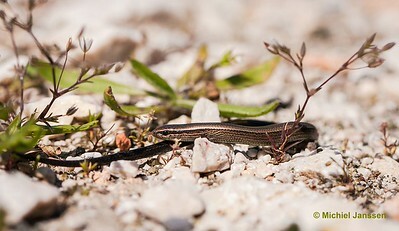 Photo taken near Bierge (Sierra de Guara, Spain) on 6 June, 2012. 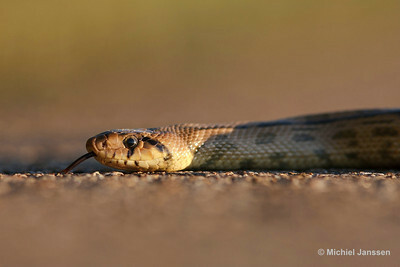 This Ladder Snake was taking advantage of the last sun rays of the day at the edge of the road. Tragically, that's why many snakes get killed by traffic. Photo taken in Los Monegros along the A-1216 on 4 June, 2012.